I've been posting these photos all week for Black Friday and Cyber Monday, and now I'm finally sharing them on the blog! 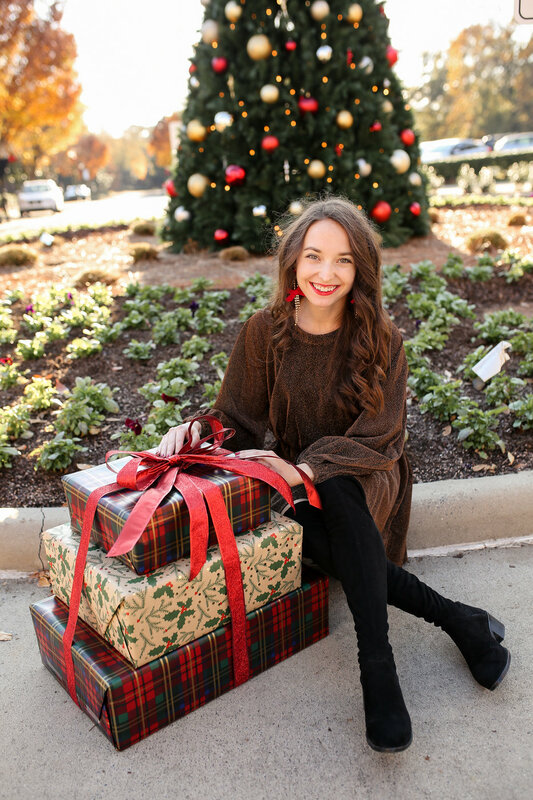 Christmas themed shoots are usually my favorites of the entire year, and this one was no different. 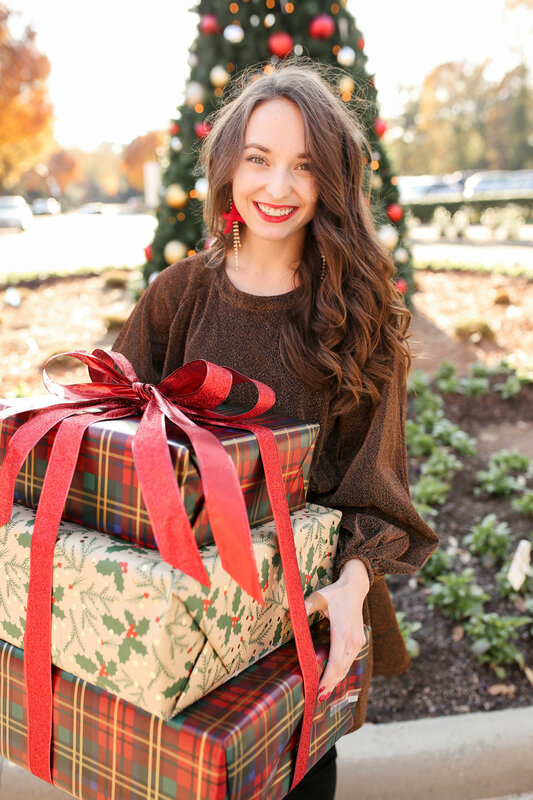 Give me some sparkles and red bows, and you have a happy blogger! I think this glitter dress would be great for any holiday party, it also opens up in the back for another added detail. These earrings would also be a great touch to a simpler outfit to add a little holiday flair. And if you broke the bank buying gifts over the last few days, the dress and earrings are both under $20!